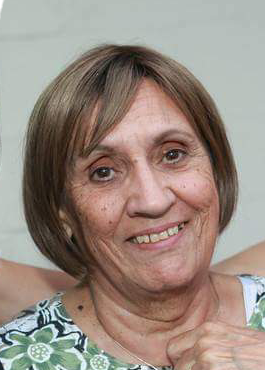 Olivia (Vieira) Varao 76 of New Bedford passed away Wednesday, April 10, 2019 at Brigham & Women’s hospital after a long and courageous battle with cancer. She was the wife of the late Graciano “Gus” Varao and daughter of the late Joseph and Sophie (Quintal) Vieira. Olivia was born in New Bedford and had lived in this area all of her life. She was a communicant of St. Mary’s Church, Fairhaven. Olivia and Gus were the proprietors of Big G Seafood. Survivors include her daughter Kim-Marie Westgate and husband John Westgate Jr of Fairhaven; her son Jayme J. Varao and wife Heather Tomlinson of Simsbury, CT; her sisters Mary J Sobral of Fairhaven, Madeline Bettencourt and husband Manuel Bettencourt of New Bedford and Ann Marie Vieira of VA. She is also survived by her grandchildren, John Westgate III, Adam Westgate, Bennett Varao, Greyson Varao and many nieces and nephews. Her funeral mass will be said 9am, Wednesday, April 17, 2019 at St. Mary’s Church in Fairhaven. Visiting hours are 5-8pm Tuesday, April 16, 2019. Burial will be in St. John’s Cemetery.